Internationally acclaimed artist Subodh Gupta transforms familiar household objects, such as stainless steel and brass vessels often found in India, into wondrous structures. The Freer|Sackler features the artist’s monumental installation Terminal. 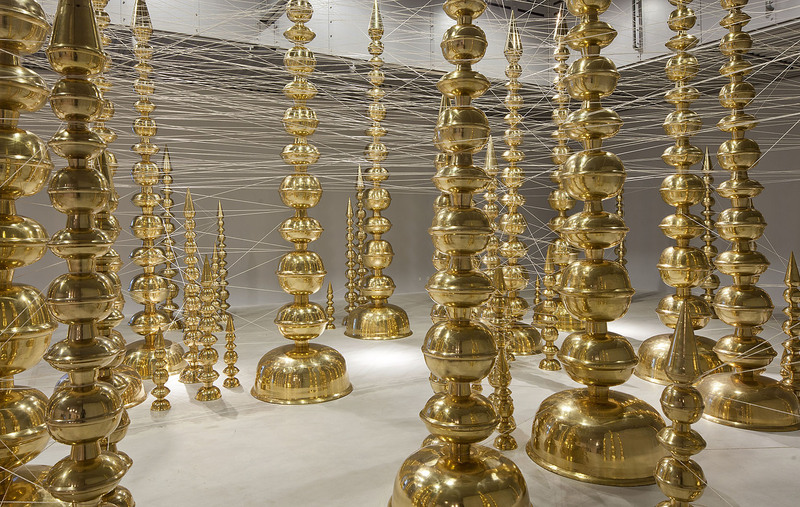 Composed of towers of brass containers connected by an intricate web of thread, Terminal converts the readymade into a glimmering landscape. Ranging 1–15 feet tall, the spires recall architectural features found on religious structures such as churches, temples and mosques.